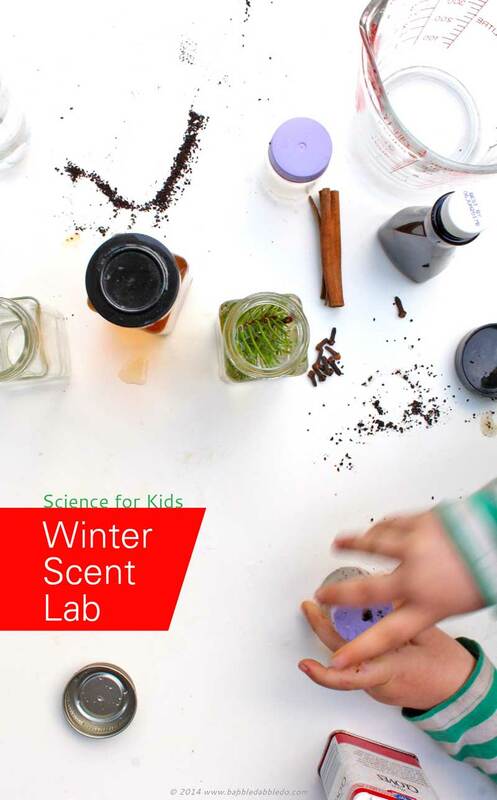 If you’re stuck inside this winter try some easy science for kids: Make a Winter Scent Lab, We’ve even got a little scent matching game to go with it! 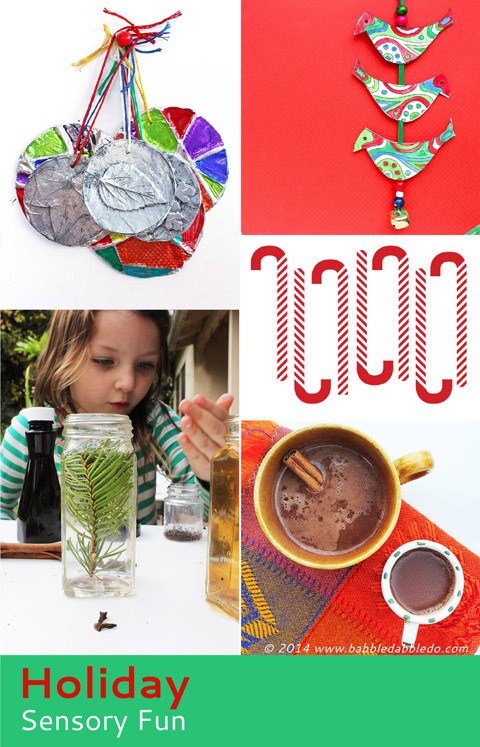 I can’t believe it but today is the final day in the Christmas Sensory Series I’ve been participating in along with Childhood 101, Picklebums, Toddler Approved, Meri Cherry, and Nuturestore. Each week we have explored one of the five senses, today we are exploring SMELL. Our contribution to the series is a Winter Scent Lab and Match the Scent Game. At first I planned on making just the game but my daughter wanted to make the scents themselves. 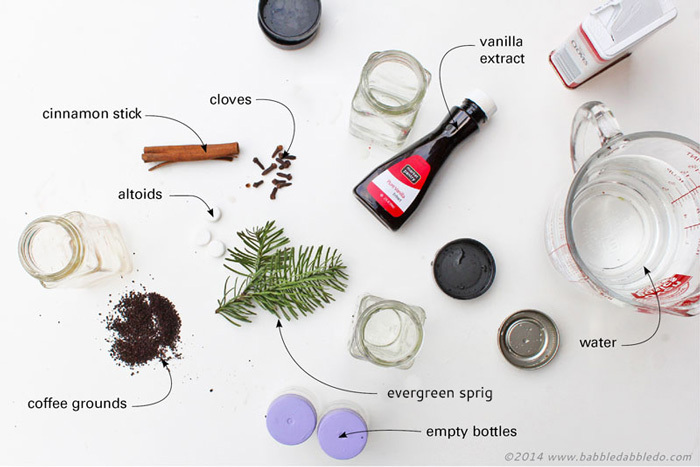 I realized making the smell jars was half the fun so we turned it into a “lab” of sorts. We made 6 scents in total and all of them are easy to come by. You could definitely expand on this with your own ideas too! I actually tried tried the game portion of this project years ago in a slightly different form (see it here) with preschoolers and it was a hit. Note: For the best results let your scented items soak in water for 1-3 days. The water will really pick up the smells. 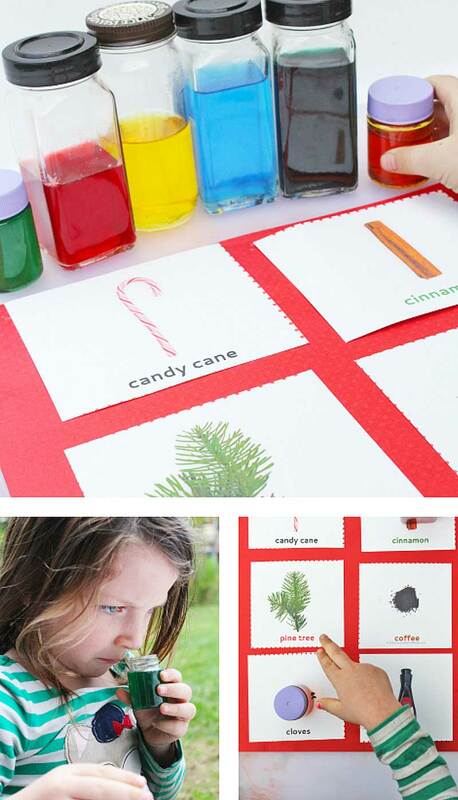 If you want to okay the game portion of the activity immediately, keep the scented items in the jars and obscure the items inside by covering the jars with opaque tape or foil. Step One Place each of the scented items in separate jars. Step Two Fill with water and cap. Step Three (Optional for game) Color the liquid to disguise the contents. For instance, color your pine scent something other than green, colors hold strong associations. Step Four Let sit for 24 hours or see note above. 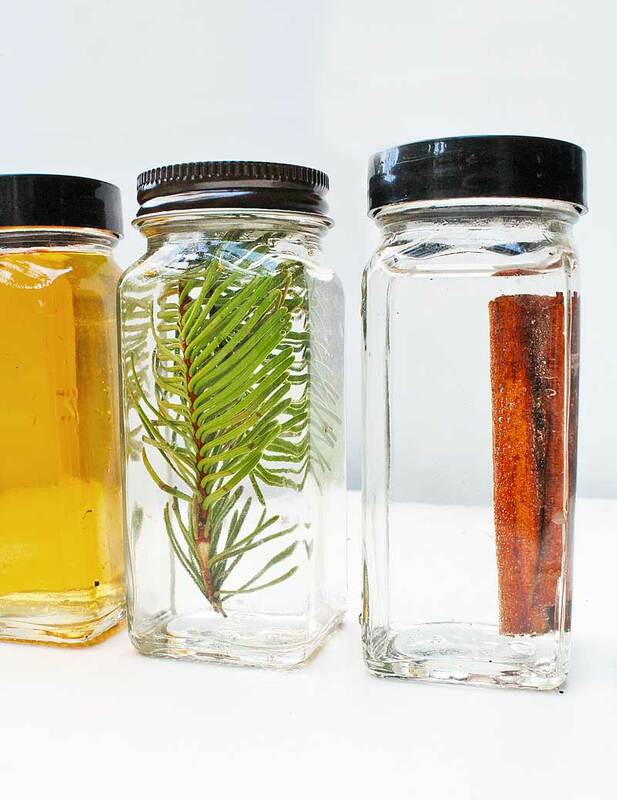 Once the water has absorbed some of the scents, remove any undissolved items form the jars. Step Two Ask your kids to open each jar and match it to one of the items on the printable. Even if they created the scents in the lab they will enjoy reopening them and matching each scent to its picture. Try fooling other family members! I’ve always been fascinated by the sense of smell and its connection to memory. Our sense of smell is regulated by the olfactory bulb which happens to be located in the limbic system of the brain where memories are stored. Did you know that the first time you smell something your brain builds an association with the smell to that event or activity? Since we encounter smells for the first time as kids we often associate certain scents with our childhood. How interesting is that? For more information check out this article on How Stuff Works. Linda Buck. Along with fellow researched Richard Axel, Ms. Buck was awarded the Nobel Prize in 2004 for discoveries related to the olfactory system (the body’s sense of smell). Linda Buck is interested in how our brain actually processes chemicals and recognizes each different smell we encounter. She is also studying how different smells trigger hormones and affect our emotions. For more info on Linda Buck visit her lab here. 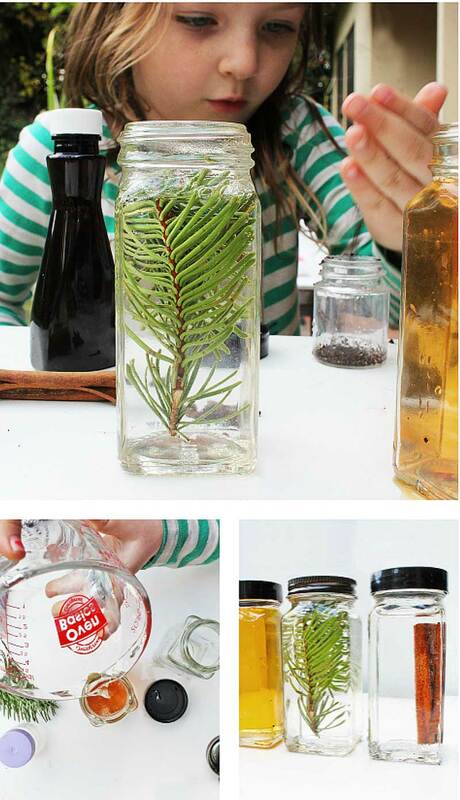 If you are looking for ctivities to keep the kids busy this winter try making a Winter Scent Lab and Game. It’s fun to both make the scents and then try and the test your sense of smell by playing a matching game. 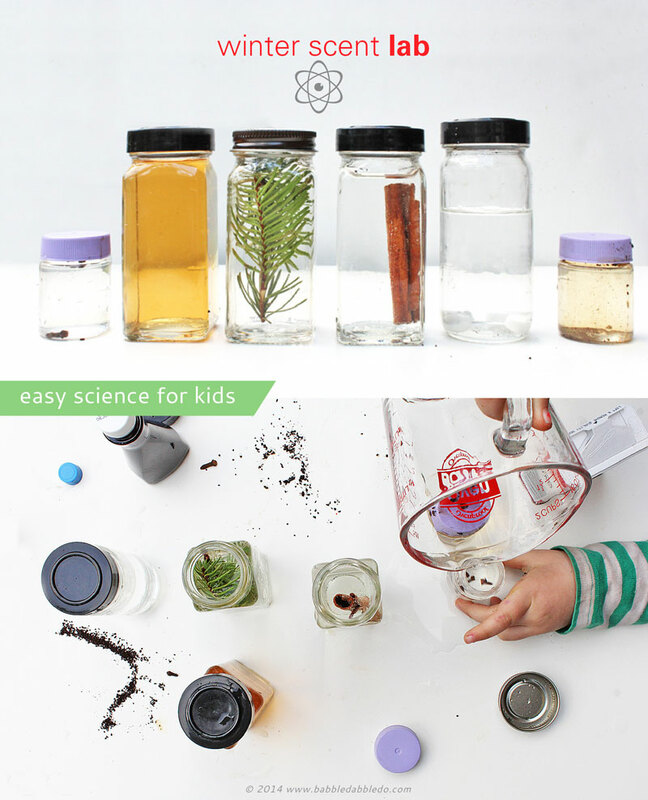 Are you pumped to how my fellow bloggers explored smell with their kids? Super cool Ana. Looks really fun. Love that pic of your girl. Wonderful idea!!! Just an FYI – The green sprig is from a fir tree. I think it’s balsam but could be spruce. Calling it an evergreen tree sprig would work better than pine. It’s definitely not a pine. But this is a great idea. Thanks!! ooooooh I have a four year old who just loves doing ‘sperimenting’ He will LOVE this!